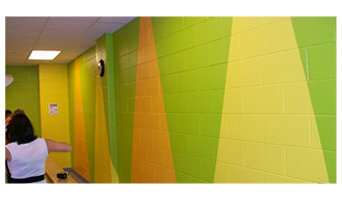 Pars Painting Melbourne offers a complete range of domestic and commercial painting services. Operating throughout Melbourne and surrounding areas, our experienced team provide flawless results, every time. We work closely with you to ensure that your home or business is painted perfectly, with your choice of colours and styles applied expertly. 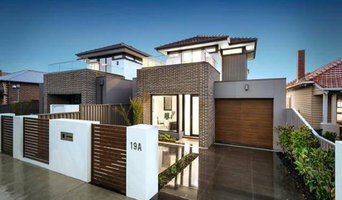 Pars Painting Melbourne is highly experienced in all painting and decorating services, and can take care of both the interior and exterior of your home. Whether you're building, renovating, or extending, our team will have your home looking fabulous. Natty & Polly are a Melbourne based business who thrive off beautiful colours, bold patterns and classic simplicity. We bring to you one of the largest wallpaper collections on offer in Australia, taking great pride in the products and quality we supply from designers around Europe, America, Italy, Germany and the Uk. Mixing our business mind with our immense passion for interior design, we supply a vast range suited to any home and budget. We believe wallpaper brings out the individual personality and creativity of not only your space, but also you. Natty & Polly would love nothing more than to be part of your journey transforming your space into an interior delight. Our catalogues are endless, if you don't find something in our online store please contact us with some information on what you're after and we would love to assist in finding the pattern that is right for you. Robert Scapin Painting & Decorating. A business delivering an outstanding painting and decorating service to transform your property or space. Owned and operated by a qualified trade professional committed to achieving the highest standards in quality workmanship and customer service. Creative inspiration, attention to detail. For all your interior, exterior, residential or commercial painting requirements. For generations homeowners, trade professionals, architects and specifiers have relied on products from Dulux. Dulux is a manufacturer and marketer of products that protect, maintain and enhance the spaces and places in which we live and work. Your home or office or factory; the machinery or oil rig you work on; the cars we travel in or the timber deck we entertain on; Dulux products are often there doing their job. Our range includes Powder Coatings, Protective Coatings, Acratex Textured Coatings and Systems, Woodcare Products and Automotive Refinish Coatings. Dulux has always been committed to understanding the needs of its end users and as a result has developed market leading positions in a wide range of building and home improvement categories. Investment in world-class technology, and research and development facilities, underpins Dulux's success. Products are produced to the highest quality standards, and we are committed to providing innovative product solutions that satisfy the needs of our customers today and into the future. Our expertise and passion for printing on all types of fabric and vinyl products helped us manufacture what we believe is the best Self-Adhesive, Removable wallpaper product on the market today. NO GLUE, NO BUBBLES & NO STRESS. Every Pickawall is customised to suit your décor or space, As leaders in our industry we print our wallpaper using the latest in safe ink technology, which is odourless and free of toxins for the safety of your family & environment. Thanks to Pickawall, you can say goodbye to blank walls forever. Pickawall’s dynamic website opens up a whole world of possibilities where you are the artist and designer – and the blank wall is your canvas. Our library content is powered by the world’s biggest photo libraries and gives you instant access to more than 80 million images at No Charge. You can also customise your wallpaper by simply uploading your own photo or design or talk to us and we can help do it for you. Pickawall was the first company in the world to offer this innovative self-adhesive wallpaper product that is easy to install, remove and is 100% opaque and being a fabric Free of bubbles. Check out our Price calculator on our Home Page. Mike Bailey Paint Services has operated in Melbourne and regional Victoria since 1992. We employ well trained staff rather than contractors and offer a premium service as a Master Painter and Decorator and in Environmental Paint Solutions, for the Commercial and Domestic markets. We are a leading Victorian distributor for Heat Reflective Paints and Coatings for external surfaces, supplier of Low Toxic paints for internal surfaces, accredited for Asbestos Encapsulation, Lead Paint Removal and Fire protective coatings (Intumescent). We also operate a retail shop for all your painting and decorating supplies. SG Coatings is a family owned and operated painting company. Our focus is on the commercial & residential divisions and we service Southeast, Bayside and surrounding suburbs of Melbourne. Lover of walls and all things pretty, we are a Melbourne-based business selling stunning wallpaper online since 2010. Many of our wallpaper designs are locally designed and printed. If painting your walls or installing wallpaper aren’t your favourite jobs, it’s very well worth considering hiring a professional for it. Not just for the obvious time-saving, but there’s actually more to a good paint or wallpaper job that you might think! Whether you’re looking to paint your bedroom or living room, you’re always starting from the all-encompassing question of which colour to paint your walls or which wallpaper to choose. The next challenge is selecting the best product for your needs. And don’t even mention the work involved in preparing the wall and applying the paint so it lasts. If you’re looking for a professional house painter or wallpaper installer in Long Forest, Victoria you’ve come to the right place. 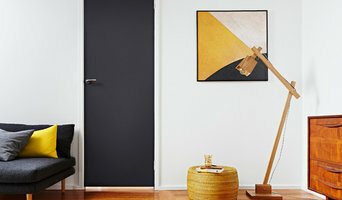 You’re sure to find the best painter for your job in the Houzz professional directory. Here on Houzz, you’ll also find Long Forest, Victoria professionals who can create a more creative wall design for your home, including wall murals or custom wallpaper. 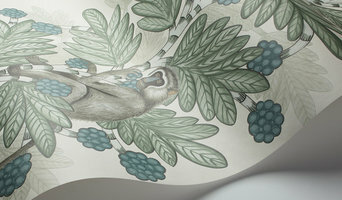 Murals drawn by an artist will often require a large space, but it’s worth investigating if you’d like a one-off feature wall every visitor will remember. If you’re after advice rather than application, here you’ll also find colour specialists that can help you in your quest for choosing the right paint colours or wallpapers for your abode. 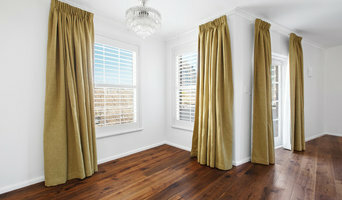 Scroll through this page to find painters and wallpaper installers in Long Forest, Victoria. You can browse their latest projects, read reviews to see how other homeowners rate their work, and message them directly.